What exactly is Software as a Service (SaaS) and what are the advantages of going with it? 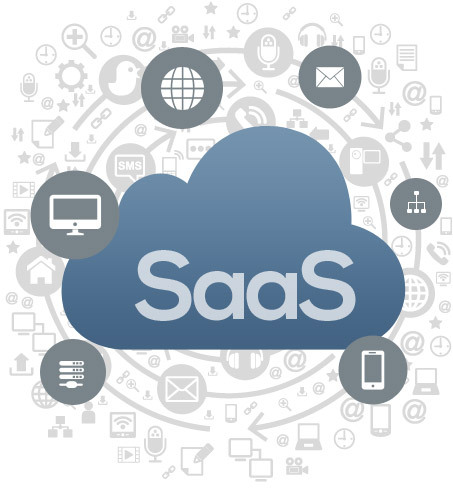 SaaS is a type of software licensing and delivery model, where the software is centrally hosted and is licensed to the users on a subscription or licensed basis. It is also referred to as ‘on-demand’ software. SaaS is nowadays the most common delivery model for many business applications, including payroll processing software, office and messaging software, management software, development software, CAD software, CRM (Customer Relationship Management), ERP (Enterprise Resource Planning), HRM (Human Resource Management), and so on. Entrust Network Services provides the infrastructure and server hardware to business clients to run server-side installation licensed software. We have expertise in setting up Linux and Windows based operating systems on either a dedicated server or Virtual Private Server (VPS) option. We are then able to work with the software company to setup and configure the software. Clients have the option to take up a IT Managed Services package with us to be their IT administrator for the SaaS installation and we will take care of all the communication, support tickets, updates of the software on their behalf. Following are the key advantages of SaaS. A user does not have to spend time installing and configuring the software in their own as it is already installed and configured in SaaS. The user only has to provide the server in the cloud and the software is ready to be used. This also eliminates any issues that may pop-up during the installation of the software as well. Since the software or the application resides in a multi-tenant or shared environment, where the software and hardware license costs are comparatively low with regards to the traditional model, SaaS model is ideal for businesses that do not want to spend much on expensive software. Another advantage of SaaS is that businesses will use essential software that they otherwise will not consider due to the high cost of the license. There is no direct maintenance cost as well since the responsibility of maintaining the software is with the SaaS provider. A user does not have to bother with keeping the software updated since it is the responsibility of the SaaS provider to upgrade the software. The costs and the efforts associated with the new releases and upgrades fall entirely on the SaaS provider. Compared to the traditional model, SaaS solutions usually reside in cloud environments that are scalable and have the capacity to integrate with other SaaS offerings. So, the users do not have to buy another software or server, they only have to enable a new SaaS offering. SaaS offerings come with best practices and trial modes. They are easy to use and give the user the opportunity to test the software before subscribing the service. Users have the flexibility to test different versions, and do a smooth migration. Even in the case of large environments also, users can test the software before subscribing it. SaaS has already been incorporated by most of the leading enterprise software companies, to reduce the IT support costs. The majority of SaaS solutions are based on a multi-tenant architecture, a single version of the software, with a single configuration, is used for all users. The software or the application is installed on multiple machines to support scalability. Sometimes, pre-release versions are offered to select users for testing purposes. However, for server-side installation scenarios, engaging a knowledgeable and reliable IT company based in your country would be the best option.